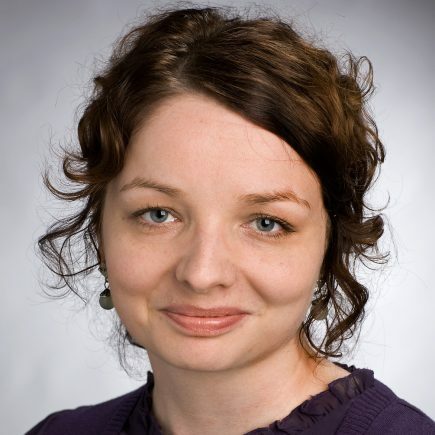 Kaisa Ketokivi (Ph.D. in Sociology, 2010) is a Postdoctoral Fellow and Lecturer at the University of Helsinki. She is a Fellow at the Institute for Public Knowledge, NYU, where she is in residence for 2-3 months in an academic year. She is a founding member and organizer of the Belonging Today Working Group which is a forum for recurring conversations, inspiration and collaboration between scholars on the topic of belonging and its transformations in the contemporary world. Ketokivi’s research interests include belonging, relational thinking, sociology of personal life, social theory, social and sociological categories, urban sociology, community and place, qualitative methodology and vulnerable lives. She is interested in understanding how both people’s lives and collective entities, including families, communities and social groups, emerge, are made and become consequential in on-going relations.For the past three years after finishing her doctorate, she’s been studying how people’s lives are intertwined with wider figurations of belonging with families, friends and other intimates, and how structural aspects and agency together contribute to the unfolding of the ways in which people are related to others (published in Sociology, 2012). Several papers are in progress or under review: on the dilemma of the capable agent (with Mianna Meskus), on figurational approach for studying personal relationships’ (with Anna-Maija Castrén), estranged family relationships and the social dynamics of family, rethinking relationality for sociology’ (with Sasha Roseneil), relational self, the notion of belonging and on the question of the social bond in sociological thinking. Realizing how fragmented and differentiated the settings for many people’s significant relations and safety nets in contemporary Finland were, got her interested in studying localities as settings for significant bonds in different ultural contexts. Some neighborhoods make strong claims about being communities where people help each other out, but how much is there dense local bonds and how deep are they. Who do people help out and how? What are the routes to forming bonds and communal goods in these neighborhoods with strong community -claims? Who can and who cannot belong? Does local belonging protect people in vulnerable phases of their lives? Her current research project is about local bonds and boundaries of belonging in communal city blocks of Helsinki, Brooklyn, NYC and Madrid. She is doing fieldwork in all three places, in Madrid together with Professor Victoria Gomez. The study is cross-cultural, each field contributing to the understanding how similar community rhetoric is acted out differently in these three localities which are culturally, socially and historically different. One interesting axis is the different way in which people’s lives, informal community practices and the role of the state are interconnected. In Finland the generous welfare benefits have enabled more individualized lives and less dependency on people around you than in Spain for instance, and in the US which is individualistic, but where being dependent on the state is culturally shunned. Studying these different places in depth the idea is to find out how our local lives and belonging are shaped by us and those around us, definitely, but also by wider social, material and cultural factors. Ketokivi teaches sociology at the University of Helsinki. She supervises graduate students in sociology and acts as an Editorial Board Member of the Sosiologia -journal, the primary forum for academic sociological discussions in Finland. She educates professionals and volunteers in the fields of social work and health care, and writes popular texts for professional journals, such as the Finnish Medical Journal.